From Dunn and Erwin, take U.S. 421/N.C. 27 to the junction in Lillington with N.C. 210/U.S.401. (This intersection has stoplights, car dealership, cemetery, fast food and convenience store). Turn left and cross the Cape Fear River. Continue through town to the N.C. 27/W. Old Road, a right turn at a gas station. Pass Shawtown Road and go left onto N.C. 27. Follow N.C. 27 west for approximately 20 miles. At the N.C. 27 overpass at N.C. 87, turn right onto N.C. 87 north toward Sanford. Go approximately two miles and turn right on Olive Farm Drive into the Western Harnett Industrial Park. The entrance to the West Harnett Center is on the left. Take N.C. 87 north. Go approximately 15 miles and turn right on Olive Farm Drive into the Western Harnett Industrial Park. The West Harnett Center entrance is on the left. Take N.C. 87 south. After approximately 13 miles, turn left (across the highway) into the Western Harnett Industrial Park on Olive Farm Drive. 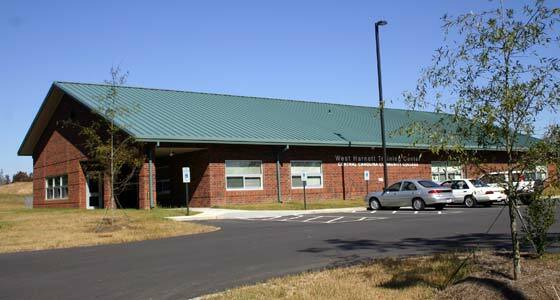 The West Harnett Center entrance is on the left.